This extension can be used to display swatches for color, brand, type, size or any other configurable attribute, each product on the list will display one swatches block. 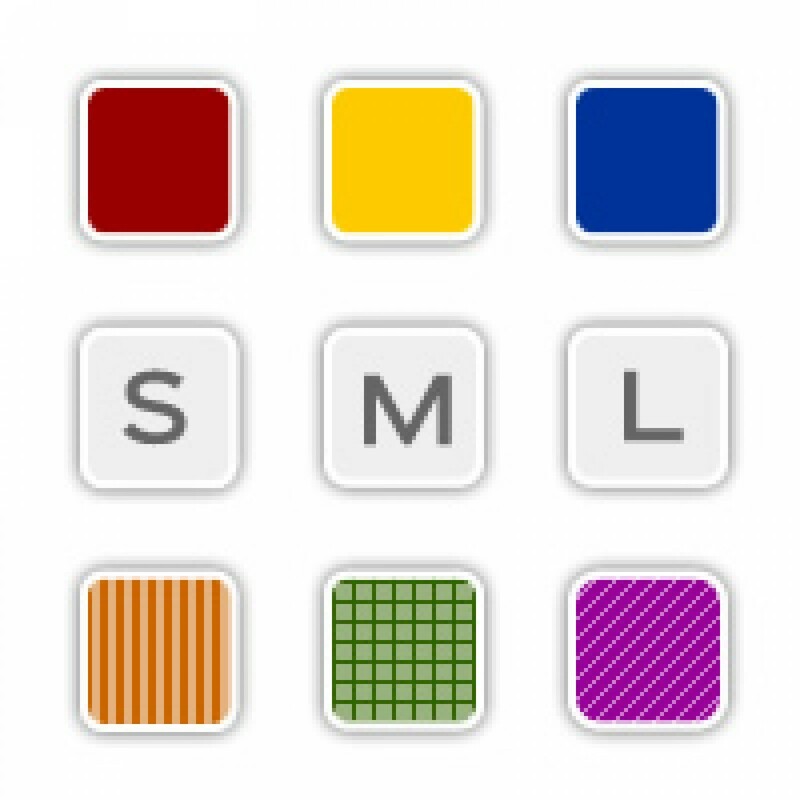 Multiple attributes can be selected to appear as swatches, useful for catalogs with multiple attributes sets that require different color attributes ( e.g. shoe color, clothing color, hats color ). 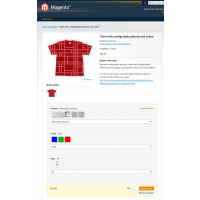 Preselect images in the catalog when the layered navigation filters are applied, e.g. : shows only red models when the filter is set to color: red. 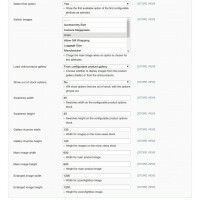 Availability list: show attribute as list, without swatches, and update values based on selected swatches, e.g. 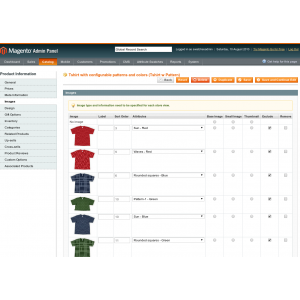 : display list of available sizes for each color of a given product. Preview available options on hover, e.g: available sizes when hovering on color swatches. 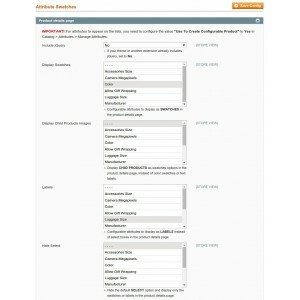 Reload attributes based on child product selection: name , description or custom attributes. 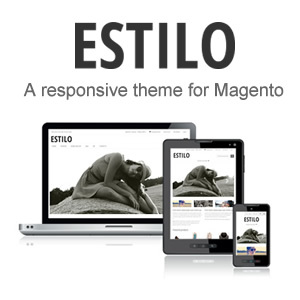 Compatible with Porto and Ultimo theme. Contact us for more information. 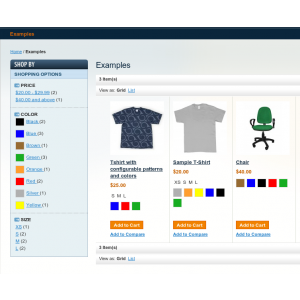 You can switch demos using the store view selector on our demo site. We were looking for a color swatch extension. 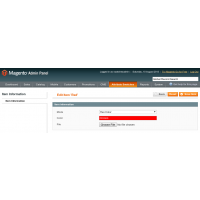 Ater comparing different products on the market, we decided to go for Mango´s extension and we didn´t regret our decision. The extension was extremely easy to use and self intuitive to find around of what was possible. When we had some questions, we received fast and competend answers from support. 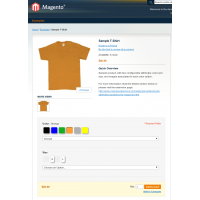 We really appreciate the support of MangoExtensions, they're really a big help to us. They provided us with appropriate and quick solution! Kudos to Mango Extensions! Outstanding customer support. The extension works without any problems even on my customized theme and is very easy to configure. The people at Mango Extensions make a great product have provide excellent support. We are very pleased with them and will not hesitate to purchase other product from them! Five stars all the way!!! We were looking for an extension that shows the child product thumbnail as the color attribute and this extension does just that. The user experience is greatly enhanced by this extension and will no doubt help with sales. You will enjoy this extension and you will be very happy with the service Fernando provides. Very useful enhancement of our shop (www.plusman.nl) where we sell clothing so colour swatches and size swatches are a very good addition to our shop. It works perfectly and easy to handle. They helped me with customising some of the settings and their service is really excellent! 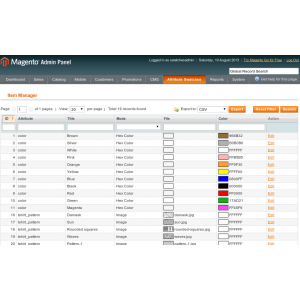 Works fine with my magento CE edition 1.9.1.0. The customer support is really awesome. I am really thankful to Mr. Fernando for his quick response and great support. Go ahead. You won't be disappointed. 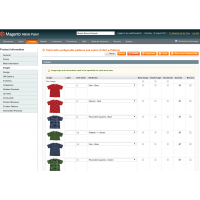 We researched multiple different color swatch extensions before purchasing from Mango Extensions. We knew that any swatch extension we purchased would require modifications to function properly with the customized pieces of our Magento template. Although still needing modifications to work well with our front-end templates, Mango's Color Swatch extension had just about all of the features we were looking for out-of-the-box! Fernando and others at Mango Extensions who worked on the installation and customizations to the Color Swatch Extension did an amazing job! The communication was at the highest level you could ever ask for and the job was done in a timely manner when considering our requested customizations to the extension. I would highly recommend this extension and working with Mango Extensions! We purchased this extension for our Magento 1.9 multistore and were extremely satisfied both with the functionality of the extension as well as with the support provided. Responses were prompt, and clearly expressed and we found them to be a pleasure to deal throughout a great deal of back and forth until we optimized the extension to suite our exact needs. I highly recommend this extension! I bought this extension with the professional installation and the service was great. 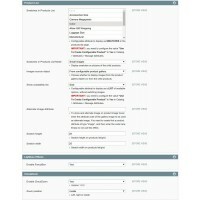 The extension works smoothly and is easy to configure. This extension is highly recommended. First the module exactly what I need, but most of all, the Support from Mango's team was perfect. Special Thanks to Fernando for staying up very late with me and help me until the end !! 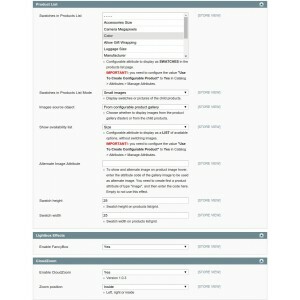 This extension contains all the extra features we required to achieve the functionality we needed on our site. 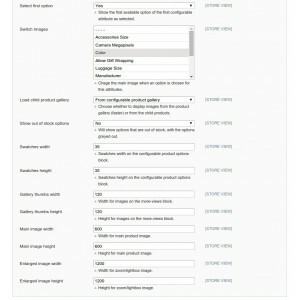 The admin is detailed for the solution to switch images based on attribute selects. 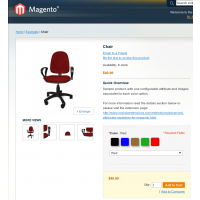 This is one of the core features that never was features on Magento CE so far and this extension provides the best solution in my opinion. We've been looking for a colour swatch extension for a while before deciding to go with this and we're glad we did. Fernando did a fantastic job of tailoring this extension for our needs and site. Minimum hassle dealing with Mango Extensions. As always, delivery of work was done on time. This extension is easy to navigate on the back end and looks really nice on the front store as well.